Highly domed, smooth, dark coloured upper shell with light coloured flecks. Bright yellow chin and neck. Habitat: Blanding’s Turtles generally inhabit nutrient rich lakes, shallow streams, marshes and swamps with dense vegetation. 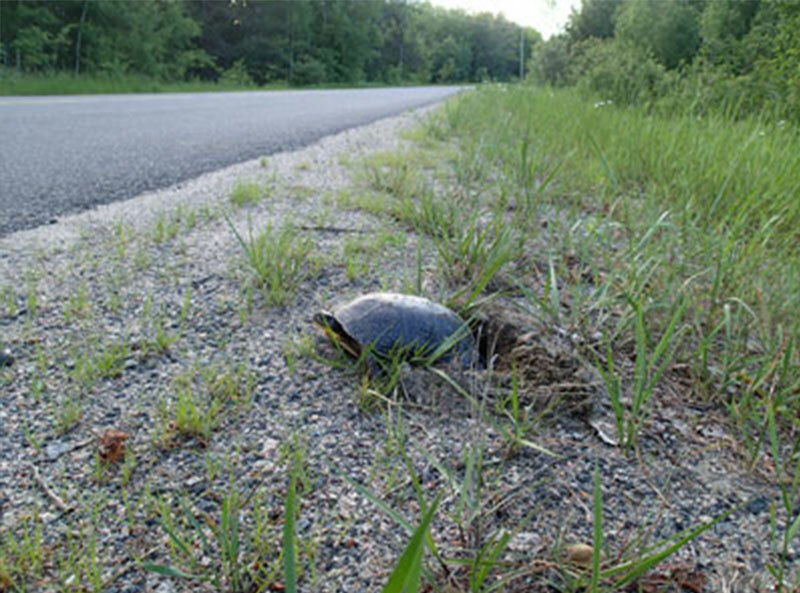 In the summer you will find Blanding's turtles in boggy, plant-filled, stable water bodies such as shallow lakes, wetlands and slow-moving streams and rivers. This allows them to hide from predators but have a constant food source. In winter these turtles prefer prefer streams with steep banks and deep, constantly flowing water. They also overwinter in small ponds that are spring-fed. Diet: These turtles eat plants as well as animals including crustaceans and other invertebrates, fish, frogs, crayfish, carrion, berries and vegetable debris. This species is considered to be primarily aquatic, these turtles will spend a good amount of time on land looking for nesting sites. 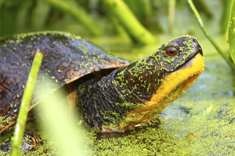 A female Blanding's turtle reaches maturity as late as 25 years old. Every 2 to 3 years, she will lay 3 to 19 eggs on land. The hatchlings will emerge in late September and October. 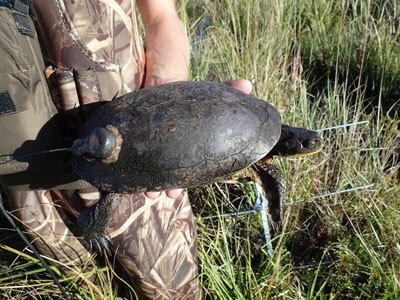 Notes: Known for their extensive home range, these turtles can move as far as three km as they move between summer, nesting, and winter habitats. 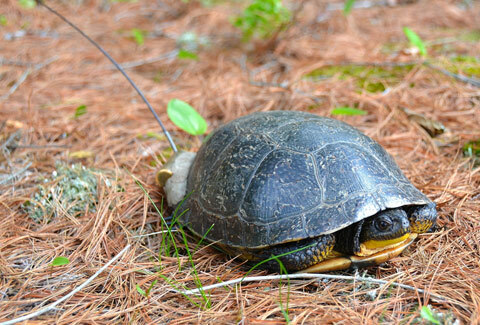 Blanding’s Turtles can take up to 25 years to reach maturity, but can live for more than 75 years in the wild.